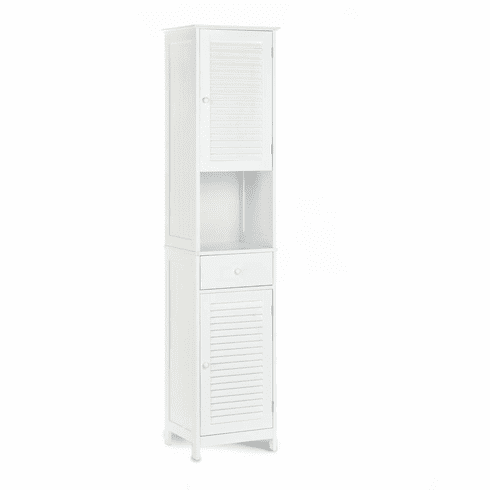 When you are short on space but in need of more storage, this tall cabinet is the answer! 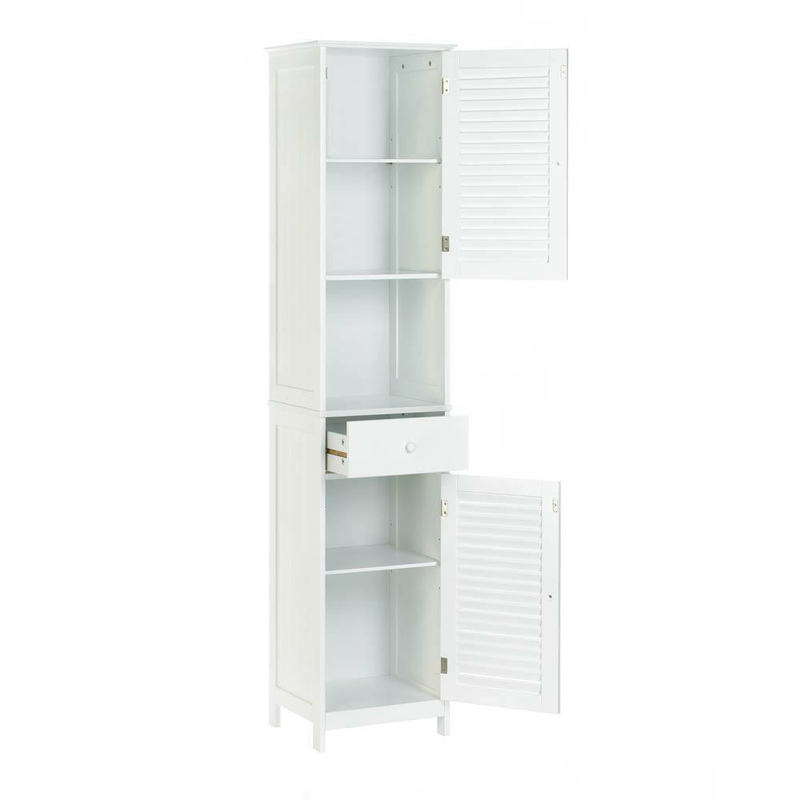 It features two storage spaces with slatted doors to tuck away essentials, plus a pullout drawer and a display shelf. Weight 42.5 pounds. 15.8" x 13.8" x 70.9". MDF Wood. UPC Number: 849179033958.